Provide comfort for the family of Florence Benedict with a meaningful gesture of sympathy. AKWESASNE – Florence B. Benedict, “Katsitsienhawi”, 87 of Island Road, passed away early Wednesday morning, March 27, 2019 at Cornwall Community Hospital after a brief illness. Florence was born June 3, 1931 on Cornwall Island, the daughter of the late Alex “Sakoiewata” and Cecelia “Kahontineshon” (Lefebvre) Hopps. She first attended Cornwall Island Indian Day School before attending CCVS and a Commercial Business College. She later attended Mater Dei, where she achieved her GED and took courses toward her degree in Religious Studies. On September 20, 1952, she married Ernest Benedict at the Massena Center Methodist Parsonage with Rev. Masters, officiating. He predeceased her on January 8, 2011. In addition to her parents and her husband, she was predeceased by a daughter, Salli Benedict on May 15, 2011; a grandson, Diamond Tyas Benedict; a great grandson, Cohen Kosinski-Benedict; two son-in-laws, Fred Brown and Ron Kohl; a sister, Marita Skidders, and two brothers, Joseph Harry Pyke and one in infancy. Friends may call at the Tri-District Elders, Cornwall Island, starting at 7:00 PM Sunday until 12:00 PM Tuesday. A Mass of Christian Burial will be celebrated Tuesday 2:00 PM at St. Regis Catholic Mission Church with Rev. Jerome Pastores, celebrating. Burial will be held privately at Cornwall Island Methodist Cemetery. To send flowers in memory of Florence B "Katsitsienhawi" Benedict (Hopps), please visit our Heartfelt Sympathies Store. 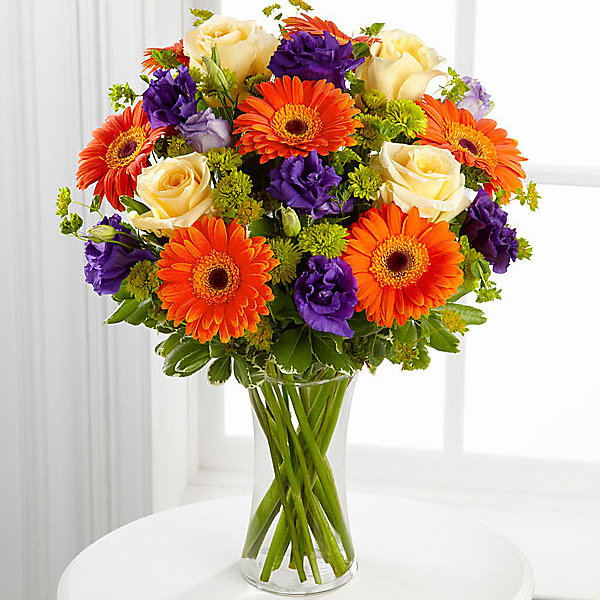 Provide comfort for the family of Florence B "Katsitsienhawi" Benedict (Hopps) by sending flowers. Heartfelt Sympathies Store purchased flowers for the family of Florence Benedict. I'm very sorry to hear the loss of Ms.Florence. It is very painful to loss someone we dearly love in death. God's word the bible gives human a wonderful promise for the future tat soon we will be able to see our dead loved ones through "Resurrection". for example scripture in 1 Corinthians 15:26 says that"the last enemy, death, is to be brought to nothing". And in Acts 24:15 says that " And I have hope toward God, which hope these men also look forward to, that there is going to be a resurrection of both the righteous and the unrighteous". Christ himself when on earth performed resurrections As we can read from the scriptures Luke 7:11-15; Luke 8:49-56; John 11:38-44) So we can have full faith in God's promise for the future as well. May these words give you some comfort and hope in this difficult time.